Are you a Pet Lover or Professional - Breeder, Groomer, Trainer, Boarding Kennel? Attention Health and Beauty ambassadors! This is the business you've been looking for! We have holistically formulated pet foods, treats supplements, and care products; organic skin care; nutritional supplements; weekly training webinars, and a killer compensation plan. This is a great busines whether you want to be a part-timer or full-time heavy hitter! Fresher food is more nutrient-rich. While leading brands stockpile tons of food for months on end, our healthy dog food is made weekly in small batches and ships directly to your door usually within 6-8 weeks of being made. ​My name is Alyssa, and I am an independent representative with Life's Abundance. I joined in 2011 after hearing how much other pet owners loved the products. I was interested in the best quality food for my Yorkie, Shimmer so I decided to give the food a try. I invite you to learn more about Life's Abundance and how being a brand ambassador can change your life forever. Whether it's our pet products, organic skin care, or nutritional supplements, Life's Abundance has something for everyone. Life's Abundance is a company based out of Jupiter, Florida and the manufacture of pet foods, treats, supplements, and care products formulated by holistic veterinarian Dr. Jane Bicks. Dr. Jane is a nationally recognized authority on the holistic treatment of animals. The company has been in business since 1999 and has never had a recall. 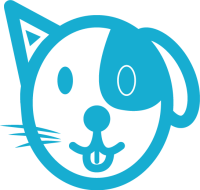 All the pet food and products are shipped directly to customers generally within 6 weeks of being made, delivering the freshest-possible product. Life's Abundance has branched out from pet-only products , and now we offer an all-organic skin care line, plus our non-GMO nutritional supplements (plant-based protein powder, multi-vitamins, probiotics, greens blend, minerals and antioxidant drink, and fish oil). I love that we are positioned perfectly with the major shift in consumer spending toward a healthy lifestyle for their pets and for themselves, including diet and supplements. Also, consumers are shifting toward online shopping which is our specialty! Anyone can do the business even without experience and there is such an ease of engagement. After all, everyone loves talking about their pets and are passionate about their health. Food and treats are already in the budget. The average pet food autoship lasts for years which creates a strong ongoing income for you. There are approximately 78.2 million owned dogs in the United States and 86.4 million owned cats in the United States. Chances are you already know pet owners that love their pets and want to feed them the very best. Life's Abundance is the perfect business for anyone. I love that our product line now includes something for everyone - pets and their people! We now have non-GMO nutritional supplements and a brand new exclusive line of organic skin care products. It's about time that we don't have to choose between health and beauty anymore! One of my favorite things is that I get to be 100% in charge of my business and work on my own time. There are no purchasing requirements. I can sell my favorite products. There are no boundary requirements within the USA. Once a customer goes on autoship it creates ongoing income that is paid month after month, year after year. I was in college and had no money and a busy schedule. I had previously run a small boutique selling only a handful of different pet treats online, but I really only had one main product. Suddenly my best-selling chews became unavailable, and I could not find a product replacement so I eventually had to close my website. While I really enjoyed it, it required a lot of time and effort, and wasn't something I could continue making more money without requiring more and more of my time - which I didn't have a lot of. I wanted to have some sort of home business for the extra income, so I was searching for something I could do on my own time. That's when I learned about network marketing. A personal franchise, if you will. I had already been using the dog food which was one of Life's Abundance's main products at the time. I was pleased with the quality, safety, and freshness and how Shimmer liked the food and did really well on it. So I started taking a closer look at the business opportunity. I don't have to update my website, order inventory, worry about shipping, biling, etc. - the company handles ALL OF THAT. For 10.95/month (37¢ per day) I get a replicator site that is company-maintained and I Just show people how to help their pets achieve maximum health, and my earnings are automatically deposited every month! Wow! It's been one of the best decisions I've made. I love the All Life Stages food. This is how I got started with Life's Abundance way-back-when. It's Safe - No recalls! It's the Freshest Possible - Served in your pet's bowl generally within 6 weeks of being made! It's Easy - Set your autoship and done! The last thing I need to worry about is if my dogs' food is part of one of the latest and way-too-common RECALLS! This company's inventory controls and safety considerations are second to none. Almost 20 years in business and no recalls. I'm personally super excited about our new exclusive line of skin care. The facial products makes your skin feel so soft and smooth. These quickly became some of my favorite products! My pets have always been in wonderful health with Life's Abundance, including my show dogs. I've also been so pleased with the agility supplement. After my Labrador tore her ACL, I was not happy with the surgery options. I researched holistic approaches and started her on the Agility Supplement as well as the Omega-3 fish oil supplement with restricted exercise and am pleased that she has enjoyed a great quality of life the past 7 years, surgery-free! (Disclaimer: individual results may vary with use, this is just my experience using the joint supplement with Jersey). I love that I can get my day started with 15 grams of protein with a nutrient-rich blend of clean, high-quality proteins. Personally, I have a shake every morning with the chocolate protein and greens blend with a banana mixed with coconut milk. It's helped me get more greens into my diet. Sometimes I'll even add a scoop of peanut butter for a creamy texture. If I'm feeling vanilla, I add a scoop of the minerals and antioxidants and mix with a banana and coconut milk. We get paid a bonus for new customers and earn a commission on sales - not just on the first order - but every time a customer re-orders too. This creates nice ongoing income. The higher your monthly sales, the higher your commissions. We have bonuses that reward building a solid foundation. Customer commissions are paid as deep as 10 levels. The higher your rank, the more levels you can earn a Foundation Bonus on. We have other features in our compensation plan, such as bonus pools. These are cash bonuses that are paid everytime a distributor qualifies each month. I love how the compensation plan is very flexible. It was specially designed to compensate distributors at all levels of participation. You work hard and owe it to yourself to be part of a huge and profitable part of the pet industry that pet owners will always need for their pets. I love working with those who are passionate about their pets and who are really motivated. Enthusiastic pet loves, breeders, groomers, pet sitters, and also rescues have joined Life's Abundance and make an extra paycheck each month.. Now we also get to work with people passionate about health, beauty, and wellness. We have a great team with weekly webinars, trainings, and support group to help new reps get established and build a team. I love how the way to succeed in the business is by helping others achieve success. I have personally sponsored several successful people and have many happy customers. I am currently ranked as a 5-star representative. One of the top reasons someone should Join Life's Abundance now is because of the perfect timing. Pet owners are becoming more health conscious for their pets every day and premium health food is a booming industry. Life's Abundance is the leader in the network marketing industry when it comes to healthy pet products and is becoming a leader in health people products too! There is no better time to join than now! The next reason is the quality of the products. I haven't found any other products that are as safe, fresh, or top quality that are life changing. Only Life's Abundance offers never-recalled products that are are from the oven right to my dog's dishes generally within 6 weeks for pets. Also, the skin care line is the bomb. The third reason is the ownership and leadership. Life's Abundance is employee-owned and I love how they are mission-driven to improve the life of people and pets. Holistic veterinarian Dr. Jane is the pet product formulator, and is defined by her absolute dedication to the health and wellness of companion animals. Much of her career spent researching and developing premium pet products. Lastly, there are extremely low barriers to entry. Compared to starting your business from the ground up or purchasing a franchise, the cost to start your business is virtually nothing. We have different options available. It costs less than $250 to become an executive rep with Life's Abundance. It is loaded with samples, dry and canned food and full-size products. You will also receive a FREE Replicator Site for 3 months! Basic Reps can get started for $29.95. You also receive the wholesale price on all items (without having an autoship) and there are a few select that have even further discounted special distributor pricing. Best of all, you get an unlimited income potential with your small investment! I honeslty see Life's Abundance being the leader in premium health products market for pets. The industry is already taking notice. Life's Abundance was the first to add guaranteed live probiotics to the food. This was because Dr. Jane knew the importance of probiotics for the health of dogs cats. It has now become widely-known how important probiotics and prebiotics are for gut health! Something pets on Life's Abundance have benefited from for years. We are also going to be an industry leader in the health and beaty market with our killer skin care and supplements line of products. I'd love to work with you and invite you to join the team today! If you have questions or would like to get in touch with me, the best way to get in touch with me is to submit the contact for on the right side of the page. I will be in touch with you within 1-2 business days. I would love to answer any questions you have so you can see if Life's Abundance is a good fit for you. 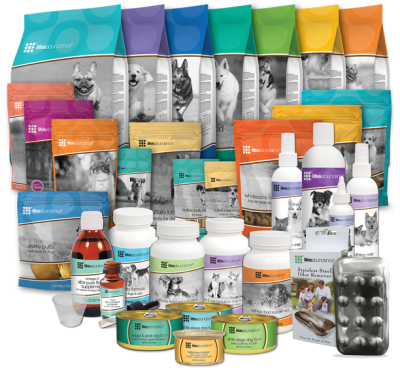 *Great Selections Of Products - Food, treats, supplements and pet care products formulated by holistic vet, Dr Jane Bicks. Non-GMO nutritional products formulated by nutritionist Keri Glassman. And an organic skin care line. ​​You are minutes away from making an important step toward improving your life, by becoming one of the newest members of the Life's Abundance family of Field Reps. I look forward to working with you. Thank you in advance for committing to our goal of living a Life of Abundance! HOW MUCH DOES IT COST TO FEED MY PET? Life's Abundance is nutrient rich, with no fillers or by-products. This means you don't have to feed as much as most other brands to provide optimum nutrition. This smaller serving size not only helps provides exactly what your pets need to maintain peak health - and nothing more - but also saves money! Life's Abundance is a home-based business opportunity that could change your life by helping pets - and people - be healthy. Our simple program gives you a fully functional eCommerce website ($10.95 per month). 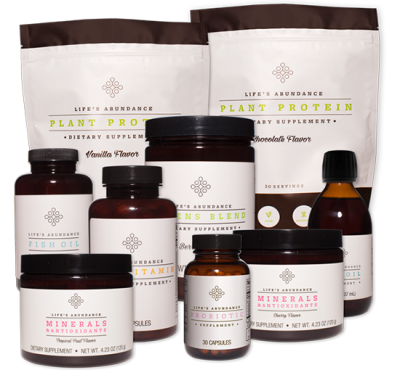 Life's Abundance ships all order directly to your customers' door. The company handles all shipping, billing, and customer service for you. you get paid for each and every order as a result of your referral orders, month after month, year after year! WORK WITH US - YOU COULD WIN A CRUISE!